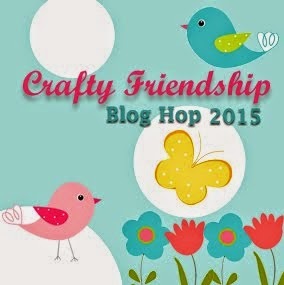 Hello everybody, welcome back to Crafty Time 4U, It has been a long time since my last post, I am taking some time of from "blogland" because many new things had happened in my life and my free time is very limited. I hope you understand, I apologize to all of you for my absence here at your blogs, which I miss reading tremendously. I will be back soon with another post explaining things better, however, now we have happy and a great reasons to celebrate! 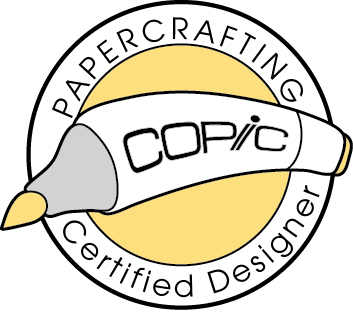 My favorite Paper Crafting Store is turning six today, to celebrate we, the Marker POP design team prepared a special blog hop with lots of prizes and inspiration. To congratulate the Marker POP on its birthday I created this card using some New Mama Elephant Stamps and Creative Cuts dies, and also some Lawn Fawn products. For this card I used the Mama Elephant Pix's favorites stamp and die set as well as the Columbus Circle Frame tags Creative Cuts also by Mama Elephant. 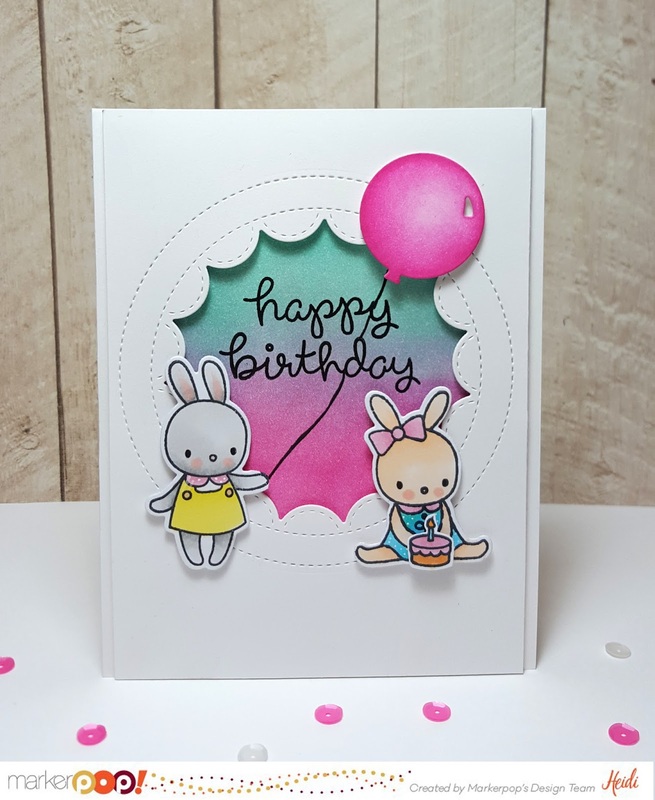 The "Happy birthday" sentiment is from the "Party Animal" stamp set by Lawn Fawn as well as the little cake one of the bunnies is holding. 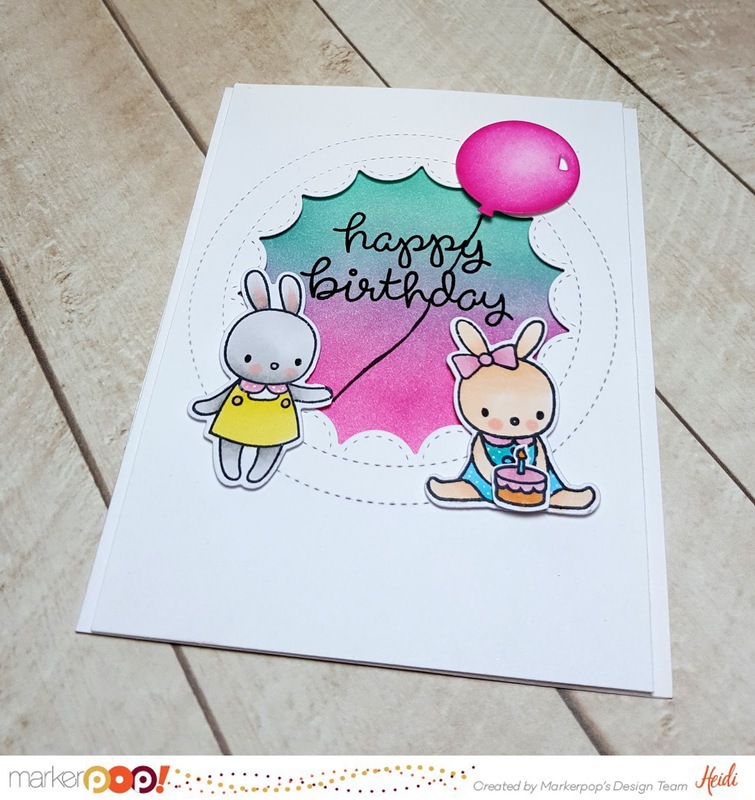 I colored the stamped images using Copic Markers, and I blended some Distress inks on the background, The bunny to your left is originally holding a butterfly but I cut it off with some scissors, so she could hold the balloon. I used a Copic multi liner to draw a string for the balloon. Now for the fun stuff, you could win prizes from the Marker POP store by stopping by at the Marker POP blog and each one of our design team members' blog, here is the line up, have a fun time! Thanks so much for stopping by today, have a lovely day! 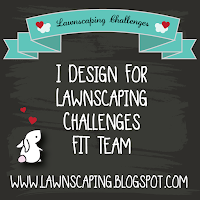 Welcome back to Crafty Time 4U, today is the last Lawnscaping Challenge FIT blog hop, and it is inspired by the color evergreen, and sponsored by the Ink Road online store. 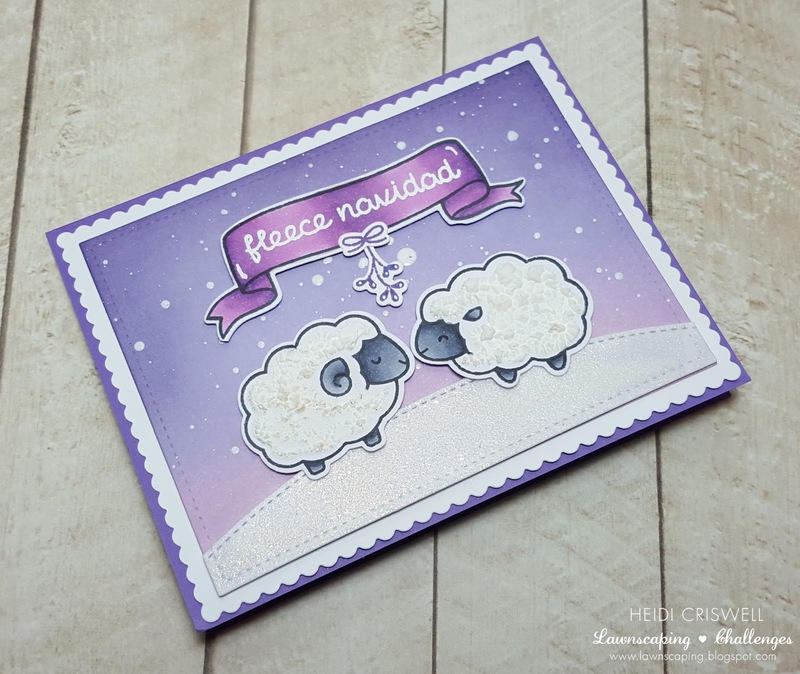 for this card, I used the "Baaah Humbug" stamp set and I added some texture to the ship using a snow marker. I also used the "stitched party banners" and some Lawn trimmings in "green sparkle"
Thanks so much for stopping by, have a lovely day! 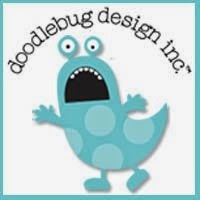 Hello everyone, welcome back to Crafty Time 4U! 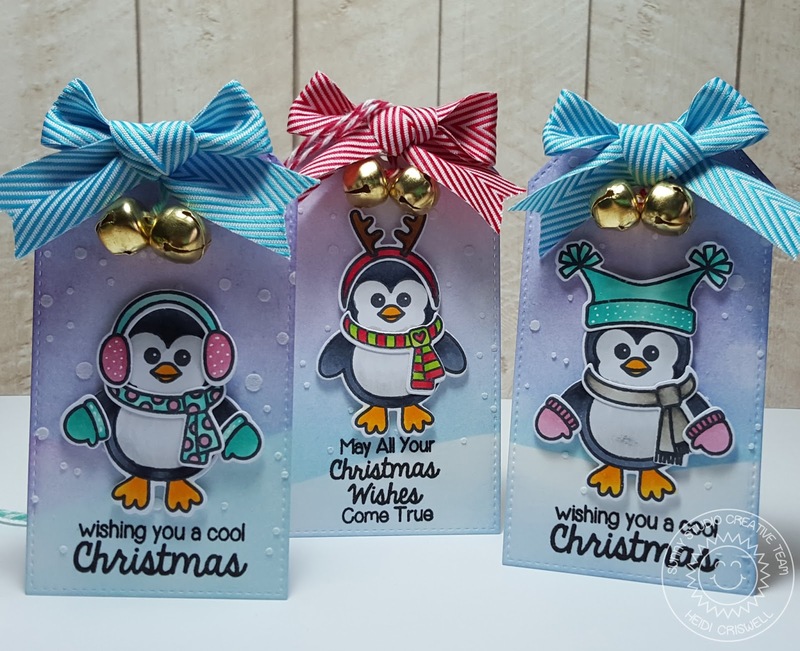 Today I'm at the Sunny Studio Blog, sharing a card that I created by combining a couple of adorable winter stamp sets, the "Bundle Up" and "Snow Kissed" I think these two stamps complement each other nicely. For this card, I stamped and heat embossed the winter accessories from the "Bundle Up" stamp set to created a background pattern, then I water colored all the little images and I applied a very subtle blue color on the whole background. 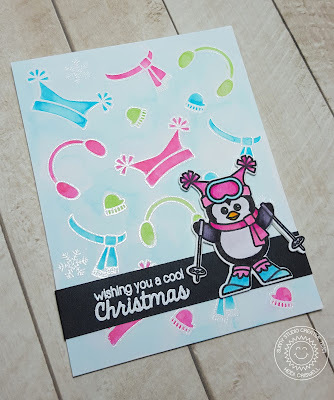 I stamped the adorable penguin from the "Snow Kissed" stamp set and I colored using water color brush markers as well, and I die cut it using its coordinated die. Finally, I stamped the sentiment on a piece of black card stock and I heat embossed it using white embossing powder. I hoped you enjoy this card, the "Snow kissed" and the "Bundle Up" stamp set are available at the Sunny Studio shop. I wish you a very Merry Christmas to all of you who celebrate and a Happy New Year! Welcome back to Crafty Time 4U, I am currently on a big break from "blogyland" because I am in the middle of many complicated things, my college semester didn't go as I planned it, but I think I"ll survived. I just got back from a short weekend trip for my anniversary, and I have to pack my backs again, finishing some shopping to go visit my family in South America, and do Christmas with husband's family before we leave. Because of our trip, my son will miss several days of school for which he make up all the work and hand it in by this coming Tuesday afternoon, it has been a marathon. So I please hope that you understand my lack of posts as well as not replying to your kind comments. As soon as I get back I will get back to normal, ( I'm hoping) and if not I will make the necessary adjustments. Meanwhile I wish all of you who celebrate Christmas a very Merry Christmas, and to those who don't a Happy Holidays and a very Happy New Year! I will have couple of post before the year is up, however they will be schedule, I will be gone while they go live. 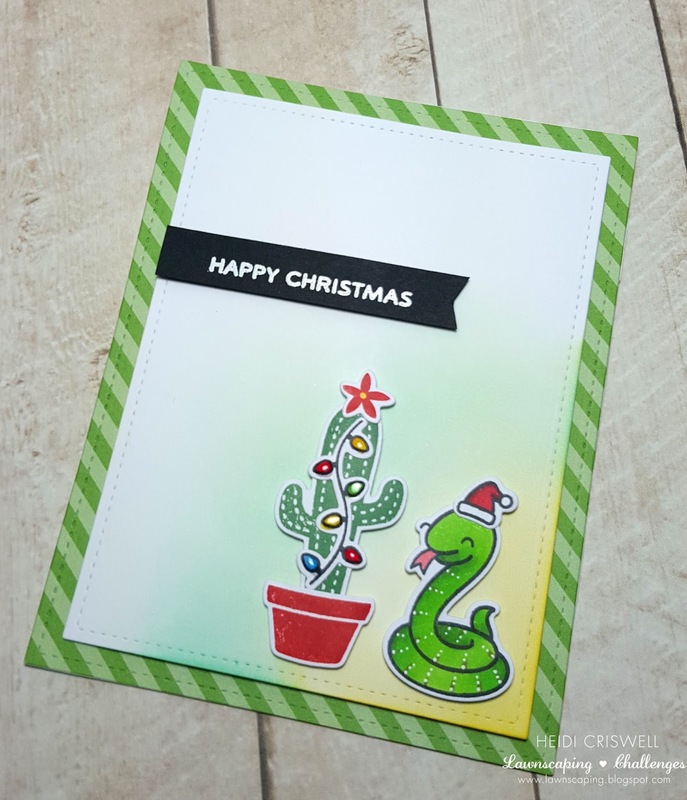 I love using the Chritsmas lights from the "Baaah Humbug" stamp set, so I decided to put it on a cactus and use the snake from the "Critters in the jungle" stamps because a snake is the last critter you will think of Christmas. I wanted to make a very different non-traditional card. 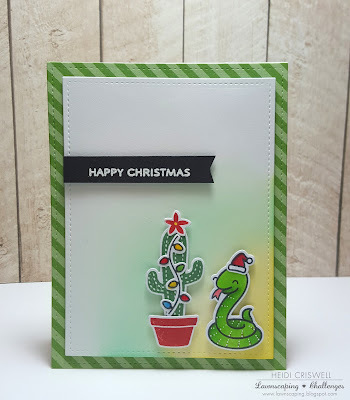 I used the Christmas hat from the "Holiday Party Animal" Stamp set. The sentiment is from the "Oh snap" stamp set. Thanks so much for stopping by, have a very sweet day! Hello everybody, welcome to Crafty Time 4U! 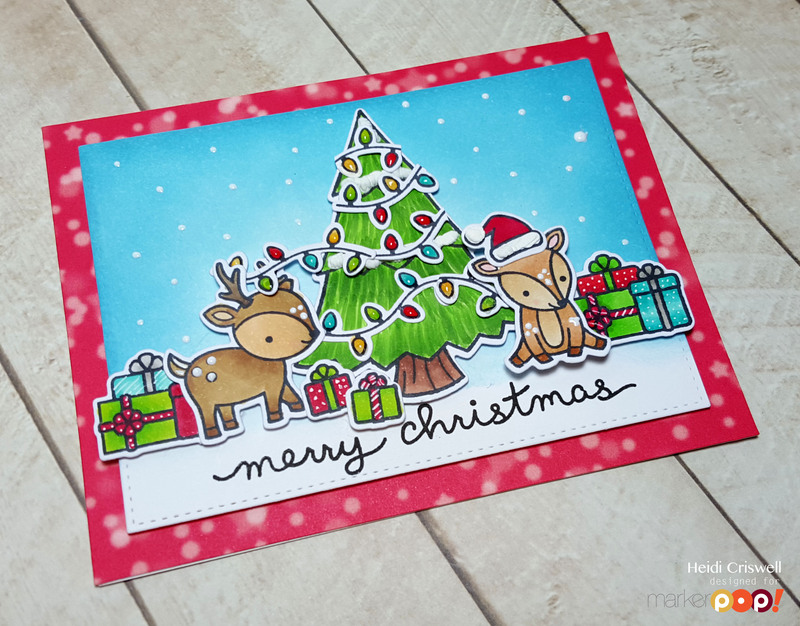 Today I'm at the Marker POP blog sharing some Christmas cheer in a form of a card, using Lawn Fawn stamps, dies, and papers. For this card I stamped the images on to Copic card stock, using Memento Tuxedo black ink and I colored them using Copic markers, then I die cut them using the Lawn cuts coordinated die. 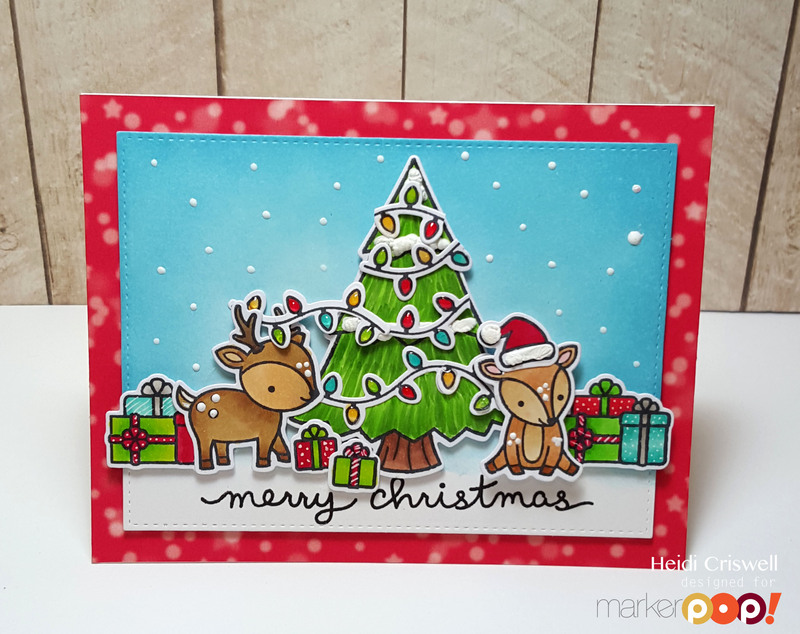 The tree is from the "Critters in the forest" stamp set, the deer and trio of presents are from the "Toboggan together" stamp set, and the little presents and the Christmas lights are from the "Baaah Humbug" stamp set. For the background I used Distress Inks, in "Broken China" and "Tumble Glass" . I placed the images on the card panel using foam adhesive, I cut a piece 5.5 x 4.25 of "Let's Bokeh in the Snow"patterned paper by Lawn Fawn, I adhered the card panel using foam adhesive, and I used some "Glossy accents" on the Christmas lights and some white liquid enamel as snow to add some dimension. 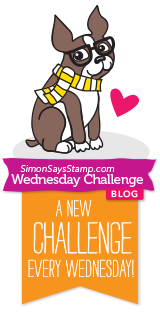 I hope you enjoyed this card, and give these fabulous stamps and products a try. 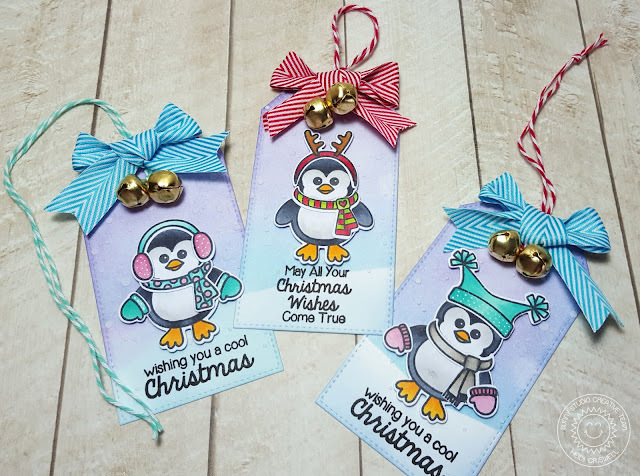 I inked some tags using distress inks and them I added the snow using s stencil and embossing paste. I stamped colored the images using Copic Markers, then I die cut them, I dressed up the penguins using some liquid glue, then I place the bundle up penguins on the tags using foam adhesive. To finish the tags I attached some bows made of ribbon and some little jingle bells with twine. 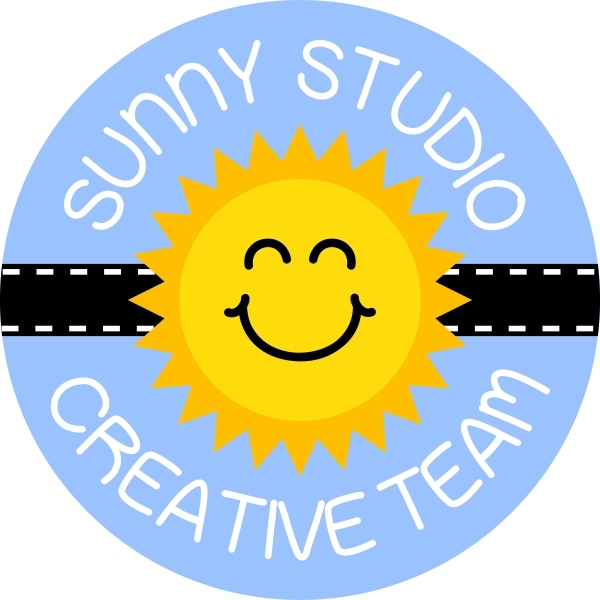 The "Bundle Up" stamp set is available at the Sunny Studio Stamp Shop. Hello everybody, welcome back to Crafty Time 4U, I hope you had a wonderful time with your family yesterday on Thanksgiving. If you didn't celebrate it, I still hope you had nice day! Today we the Lawnscapin Challenge FIT are having our monthly blog hop sponsor by the "Ink Road Online Store." This month blog hop is inspired the color violet. Let me show you the card that I made and I'll will be telling you a little bit more about it. 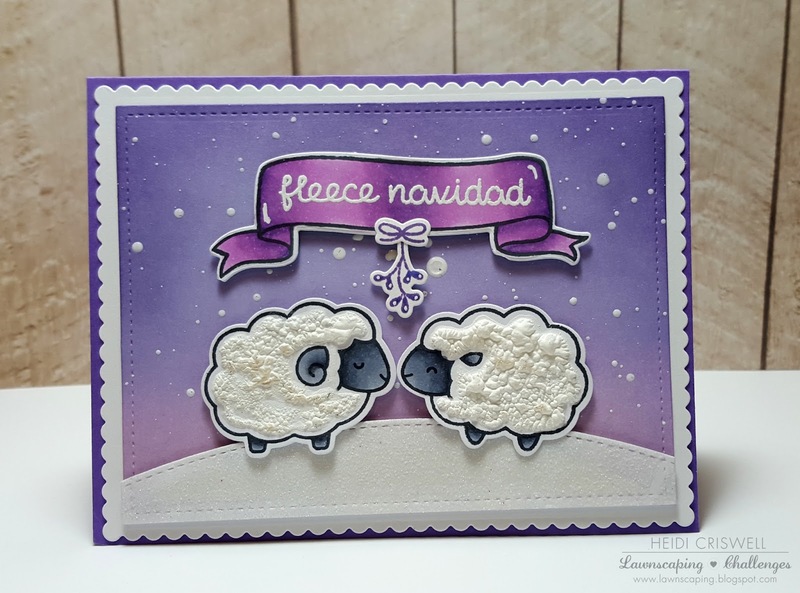 For this card I used the "Baaah humbug" and the "Banerific" stamp sets by Lawn Fawn. I created a violet background using Distress Inks and I splattered some white liquid enamel over the blended background. Then I die cut a snowy hill, which I sprinkled with some glitter embossing powder. 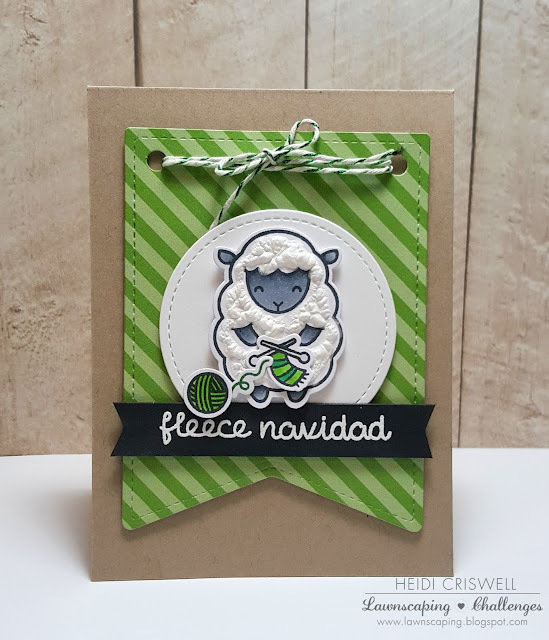 I stamped and color the sheep with Copic Markers, and then I fill the white spaces with a snow marker to created the fleece appearance. I also used Copic Markers to color the banner, and heat embossed the sentiment. I adhered the card panel to a violet card base, using a tape runner adhesive and add the purple mistletoe die cut.